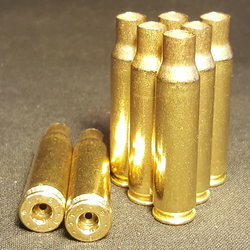 Diamond K Brass LLC sells many brands and quantities of .308 WIN reloading brass, for both commercial and recreational use. You can choose to buy casings from a single manufacturer or casings with mixed head-stamps. That lets you stock up and save, as well as ensuring that you have plenty of ammo at all times whether or not the local stores do. 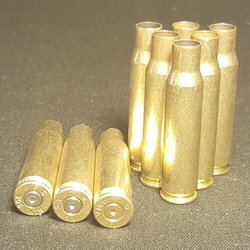 Once fired brass casings from Diamond K Brass LLC comes from indoor ranges or military sources. 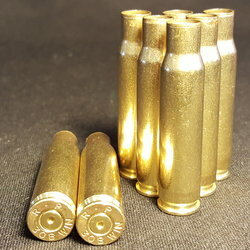 All our brass is guaranteed, and we clean these casings well to ensure that they are usable and safe to load. We have many loyal customers who trust Diamond K Brass LLC for their .308 WIN reloadable brass, and you should too! We offer fast shipping and ship 2% more than the order to ensure that every customer is a satisfied customer. 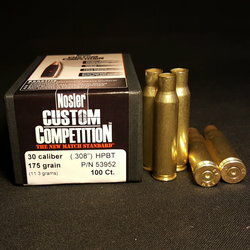 Check our many other calibers while you're at it, and stock up on all the reloading brass and tools you need. Interested in a bulk purchase? If you're a commercial reloader, contact us directly at 1-855-357- 3030. Mixed Headstamps - May contain BERDAN primed casings. Primarily Lake City Headstamp with some other NATO-spec brass. 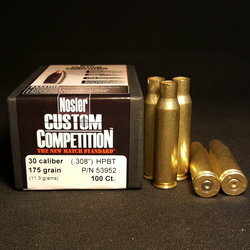 100% fully Processed & Reconditioned load-ready brass. Full-length Sized, Deprimed, Trimmed, Reamed and Polished.